Cirque Italia presents “Aquatic Spectacular.” The name reflects a unique attribute under the tent, as the show features a custom designed water stage that travels from city to city. The stage holds 35,000 gallons of water that performers dazzle over while thrilling the audience with every move. With this “unique feature” under the tent, guests will be surprised, for it’s a show of its own! Cirque Italia brings talented artists from across the world under the big top with performances that will really have you wanting more. They bring unique aerial acts, hand balancing, contortionists, and many more surprise performances that are breathtaking. They have created a show that is magical, modern, breathtaking, and most importantly –unforgettable! 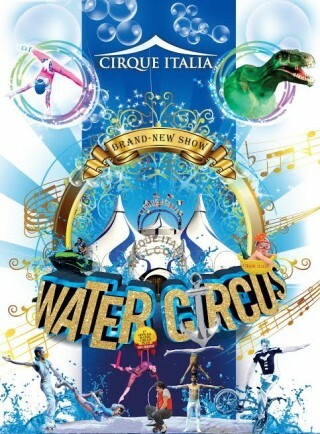 EZ Ticketing is proud to provide ticketing solutions with integrated web site for Cirque Italia. The Circus puts on between 15 and 20 shows each and every week, with orders being placed online and at the box office. Through EZ Ticketing box office software the staff at the box office are able to handle a large volume in a short period of time.